Diageo, has today announced the launch of a new expression, from its Singleton single malt Scotch whisky brand. 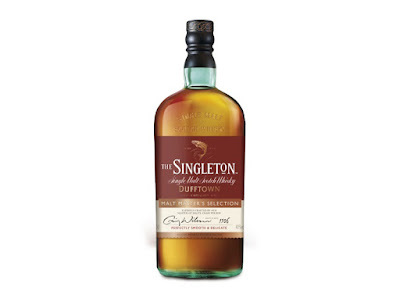 The Singleton Malt Master’s Selection (40% ABV) is said to offer a more delicate, slightly sweeter take on the classic Speyside style used in the Singleton of Dufftown 12 Year Old, with a greater proportion of refill wood allowing its sweet, yet refined distillery character to shine through. To celebrate the launch of The Singleton Malt Master’s Selection, Diageo has also announced that the whole Singleton core range has been given a packaging refresh. The new packaging, which takes its inspiration from a 19th century hip flask blown from blue glass, includes the batch number and the Master Blenders signature. The Singleton of Dufftown Malt Master’s Selection, will be available later this month from specialist retailers, for a RRP of £30.00.